Cortez’s brutal suppression of Mexico never happened and the Aztec Empire rules the world. Yet in jungle-infested London, a masked vigilante defies this cruel and ruthless oppressive regime: the Conquistador. 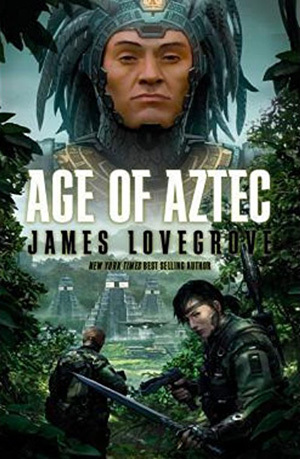 As the apocalypse looms, he must help assassinate the mysterious and immortal Aztec emperor, but police detective Mal Vaughn is hot on his trail, determined to bring him to justice.